In almost all applications of beamforming, there is a requirement to form a null in a articular direction corresponding to noise sources like fans, air conditioners or heating vents. An order differential beamforming is possible if the null direction is known apriori, . It should be noted that even though differential beamforming produces narrow beamwidth pickups, the parameters can be chosen to ensure that all the desired beam directions are picked up without undue attenuation. 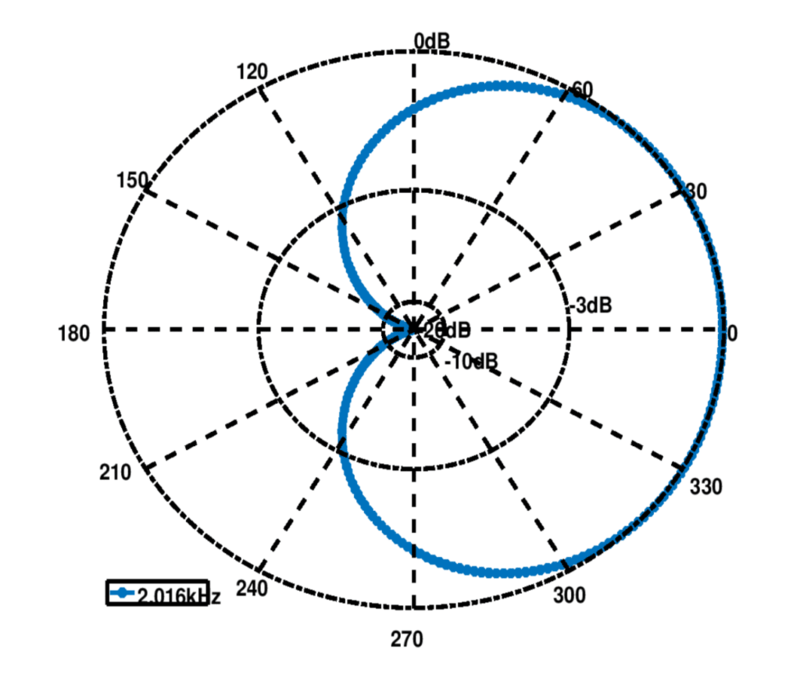 For example, for a microphone, circular array, a order differential array can be used to produce the beam pattern shown in Figure 2 below. 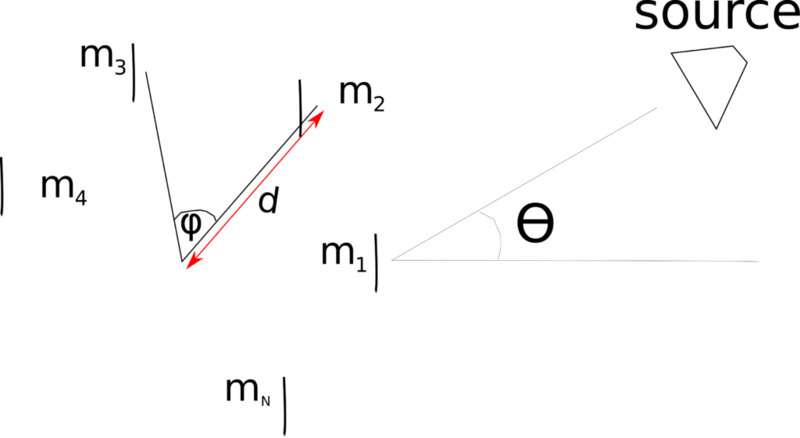 As shown in Figure 2, the beamwidth is about whilst a deep null is formed at the desired direction. As a custom design house, VOCAL Technologies offers custom designed solutions for beamforming with a robust voice activity detector, acoustic echo cancellation and noise suppression. Our custom implementations of such systems are meant to deliver optimum performance for your specific beamforming task. Contact us today to discuss your solution!